Our standard tonearm wire, Cardas 33AWG is available in four colors (green, red, blue & white), also as a 4x34 braid, and as a 4x34 braid with a shield & jacket. Like our larger chassis wires, Cardas 33AWG utilizes Golden Ratio scaled multi-stranded litz conductors, and our finest copper. 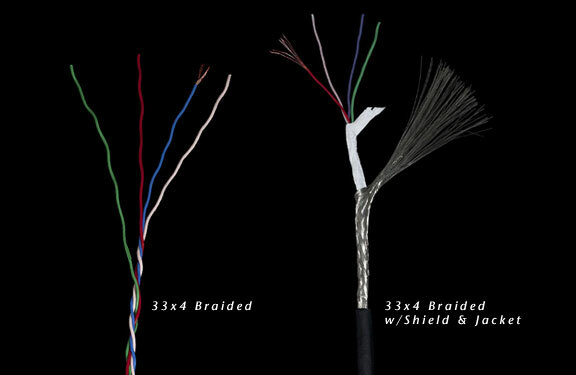 To view a close-up of 33x4 braided, and 33x4 braided w/shield, click here. 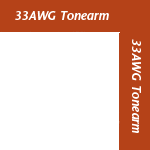 To see our premium 34AWG Clear Tonearm Wire click here.